BLVD Bistro is located in the soul food Mecca known to most New Yorkers as Harlem. It is a cozy, family-owned and operated establishment. The restaurant has a quaint outdoor eating space, but the interior is warm and inviting. The walls are decorated with inspiring pieces of art. 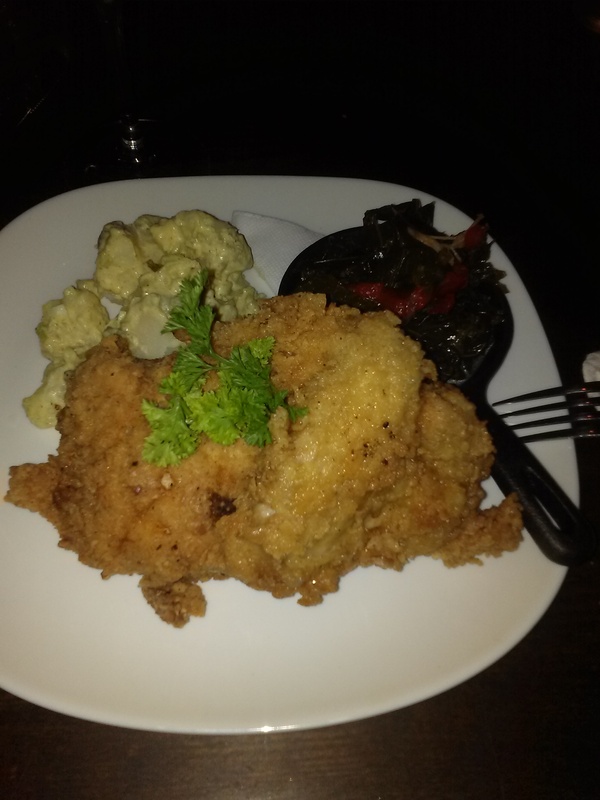 For dinner I had fried chicken with potato salad and collard greens. My chicken was crispy, the potato salad was creamy with a tang, and the collard greens were cooked to a point where it still had a small bite. Their delicious seven cheese macaroni and cheese is ridiculously on point. You get a crunchy element to the creaminess of the dish with the addition of crumbles of smoked-applewood bacon. The Cajun steak is well seasoned and cooked just right. They have a custom cocktail menu that does not present hard liquor. You can enjoy beer, wine, good food, and beautiful smiles at this Harlem retreat. The food at BLVD Bistro is delicious, but I was most impressed by the homey atmosphere. The staff makes you feel like you are part of the family. It was a pleasant dining experience on many levels. Categories: Dining Out, Food and Wine, Food Wine and Spirits, Miss MJ xoxo, Urban Aristocrats, What's Hot in N.Y.C.